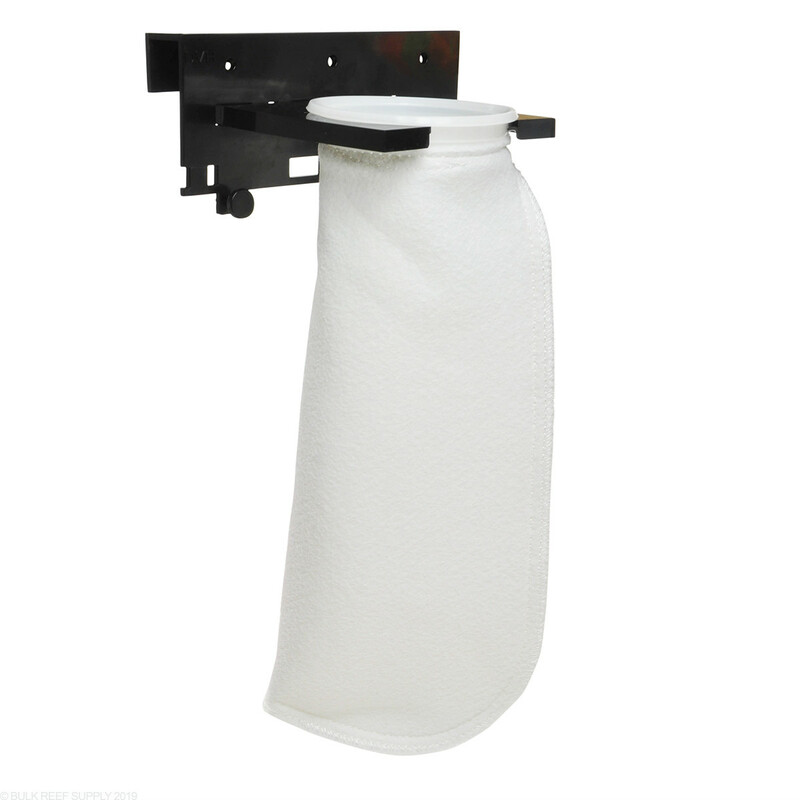 Filter Socks remove excess food, detritus, organic waste, dust, and other particulates. 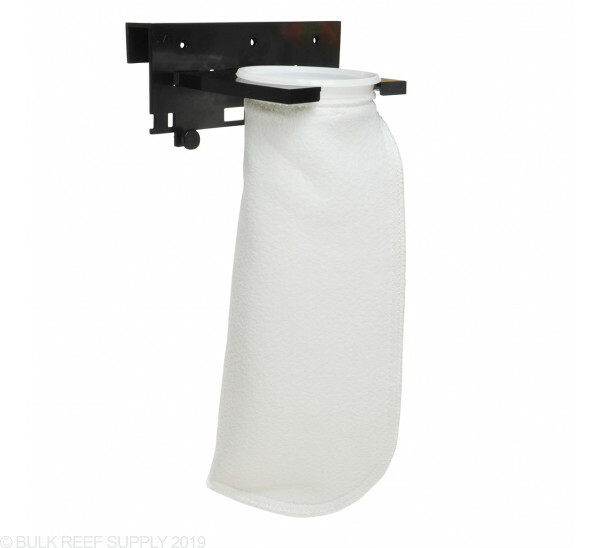 Filter Socks also help prevent larger objects, such as sand, crabs, snails, etc. from damaging pump motors. Hang-On Filter Sock Mount. Easy installation and removal for tank cleaning or filter sock replacement. 2 plastic screws for leveling. 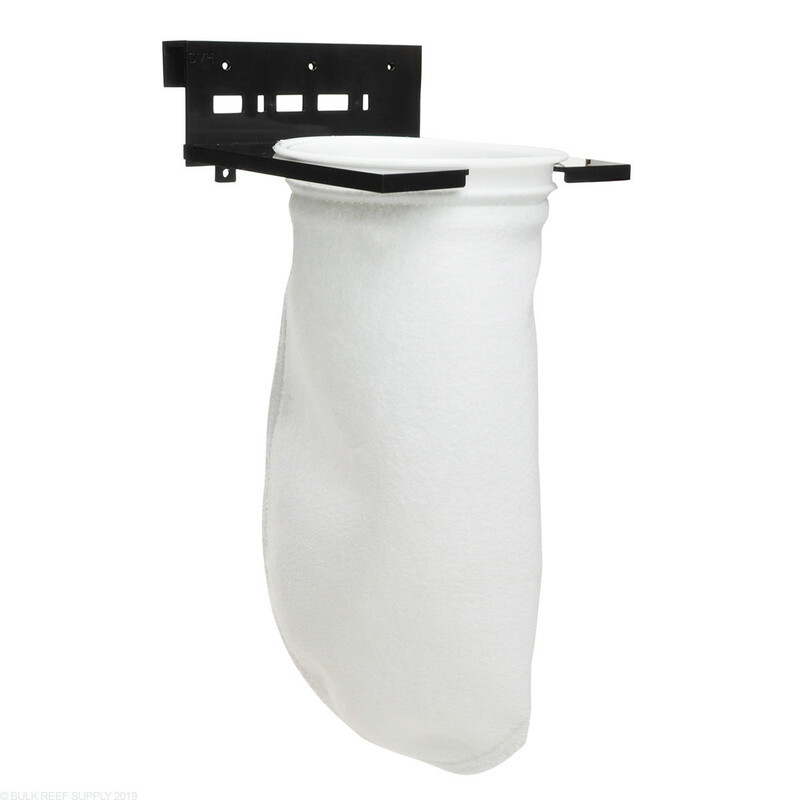 This is a great filter sock holder and the coolest thing about it is that you can switch the holder to hold 7 inch socks or can take it off and put the attachment for 4 inch socks as well. Very cool and a great price. Fits good on a 40 breeder sump. Perfect mount for a good price. I really like the fact that you can use a 4" or 7" sock ! This sock holder although not super sturdy gets the job done. I like the multiple size capability. Works just fine. I've tried a few filter sock holders and while this one is the most space saving or streamline design, it lacks the sturdiness of the bent acrylic design. This holder starts to sag under the weight of a 7" filter sock when it's roughly 2/3 clogged. It also lacks any type of additional set screws to keep it from sliding on the sump rim. I have a small sump and the base was too long to fit where I needed it to. If you have a bigger sump, I'm sure it's fine. Works fine in my sump. I use the 4" BRS mesh bags and they snap right into the holder. Great! Not quite the sturdiest but sturdy enough I think. I bought it for the ability to use both sizes of socks together...a 4" mesh pre-filter and a 7" felt sock underneath. That setup works as expected and helps keep the felt sock from getting dirty as quickly. The leveling screws really don't do much to clamp this bracket to the sump wall but it works okay. I actually bought this to hold a plastic pot to support mangroves for my tank. I have a 65 gallon and 120 gallons oceanic. This would work great as a filter sock in my acrylic sumps, but will not fit over the upper plastic frame of either tank. I know I was planning on using for something it was not designed for, but it looks perfect to hold a small plastic pot and keep the mangroves up but the roots wet. It holds up a filter sock, nuf said. Great product best holder I have purchased.It dosn't sag. How wide of a rim will the mount accept? I plan on mounting this to my sump which is a standard 40 breeder aquarium. I think the rim is about 3/4" wide. I use one on a 40breeder myself and it fits great! Will this fit on an aqueon 75 gallon tank? Thanks for getting in touch with us in regards to this filter sock mounting bracket. This WOULD work on your Aqueon 75G tank. Please let me know if there is anything else that we can assist with. Thanks! 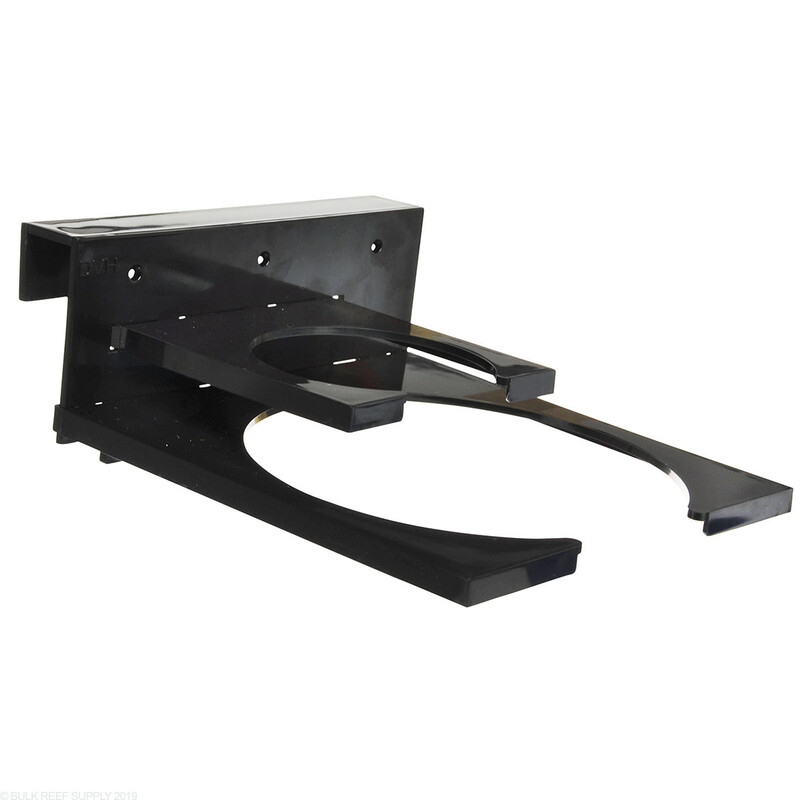 The the mounting bracket measures 8" wide and 1 1/4" deep. The sock holders measure 8" square and 4 3/4" square. The combined measurements when hanging over the edge of the sump/refugium will be no bigger than 8"x9 1/4" or 8" x 6" depending on which filter sock you go with. Will this work on an acrylic sump that is Eurobraced? This will only work on rims up to 1" and is not designed to work with eurobrace tanks. Feel free to let us know if you have any further questions! Does it just hang on the lip of the sump or does it have thumb screws for securing it tightly to the lip of the sump? It hands on the lip of the sump and then it has a few thumbscrews on it to secure it to the lip. Could I get the dimensions of this product to see if it will fit in the custom refug I am building? Thanks. 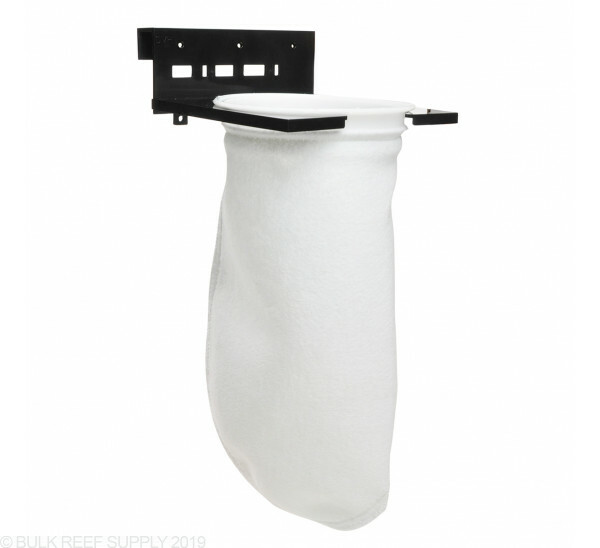 Will this sock holder fit on a standard fishtank which is being used for a refugium thank you. It sure will. 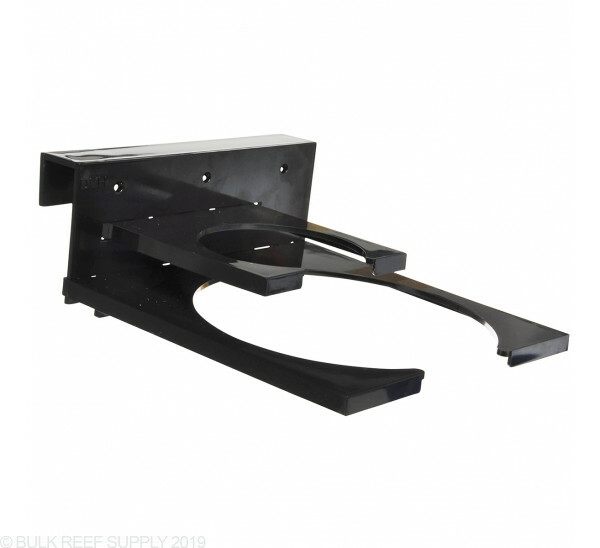 Its designed to work on a standard tank with standard trim. I use mine on a 40 breeder tank myself.